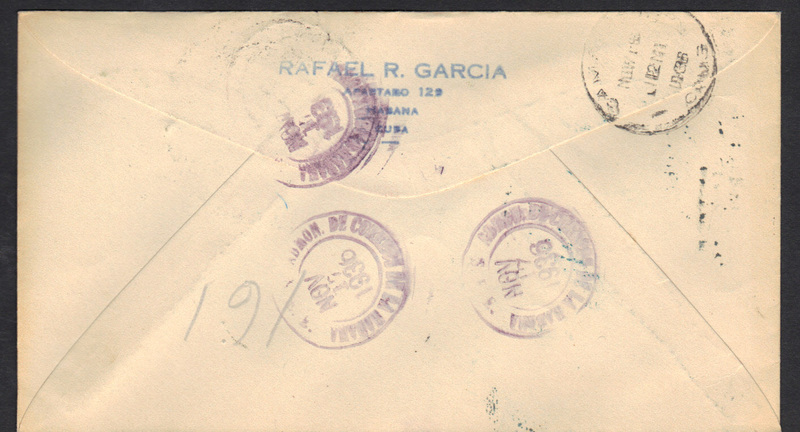 809C Scott 395 Sociedad Amigos del País addressed to Dr. Cruz Planas. 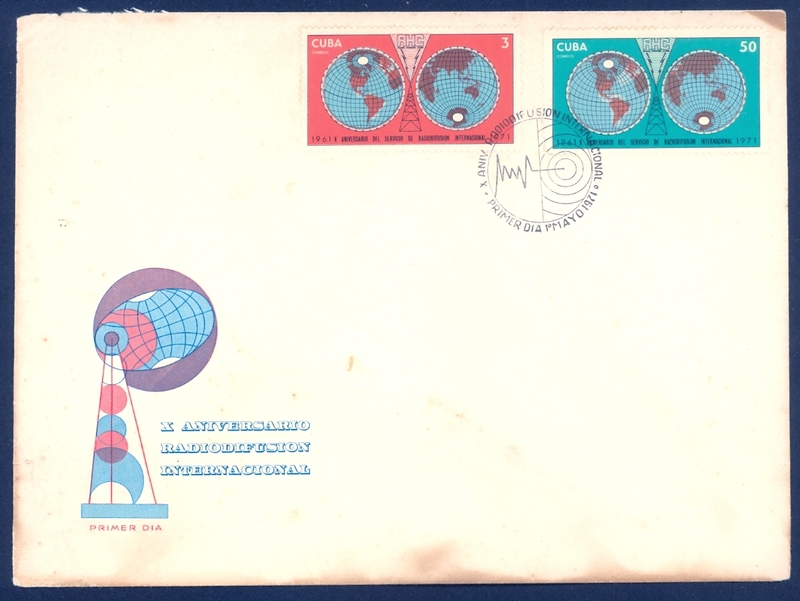 811 Scott C39 FDC w/ AAMS cachet & back label. 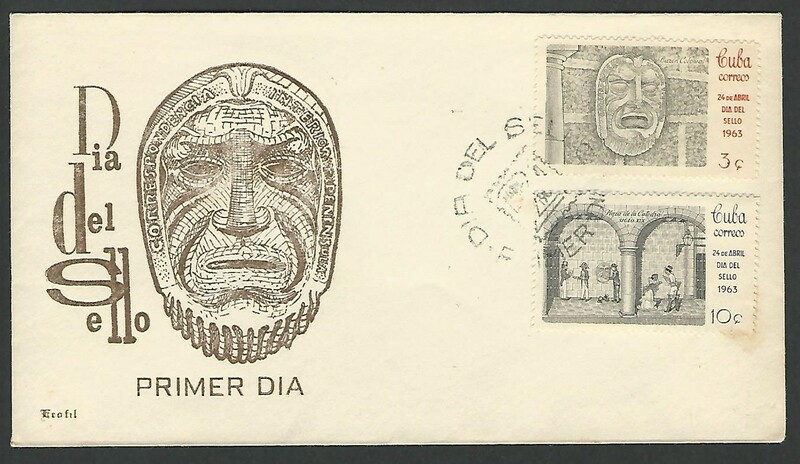 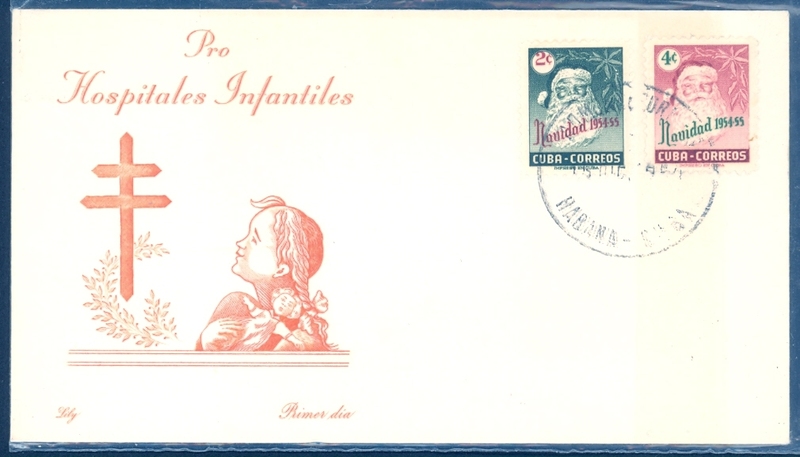 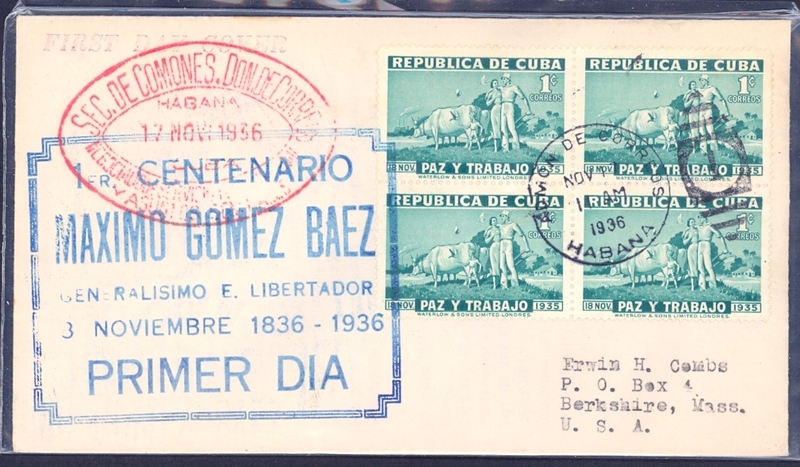 Block of 4 plus single stamp. 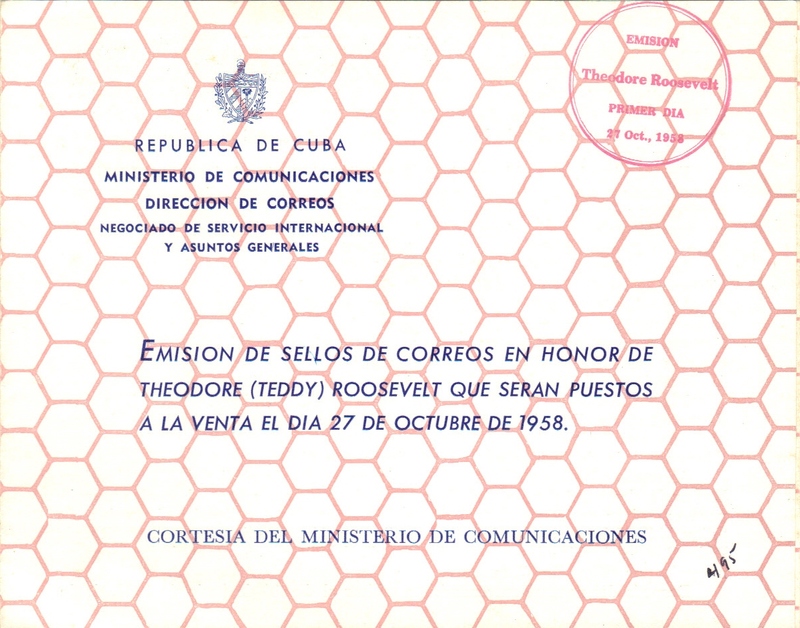 841 Scott 610 Theodore Roosevelt Post Office Announcement FDC (tri-fold). 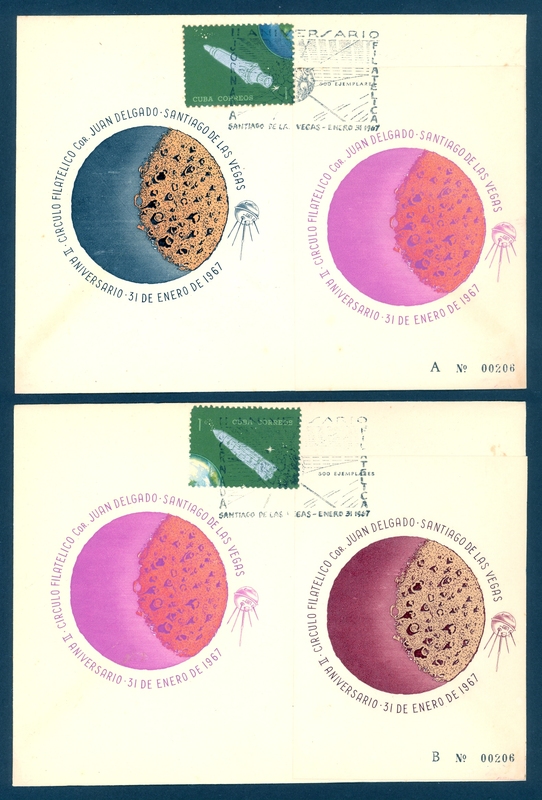 1c & 2c Blk of 4. 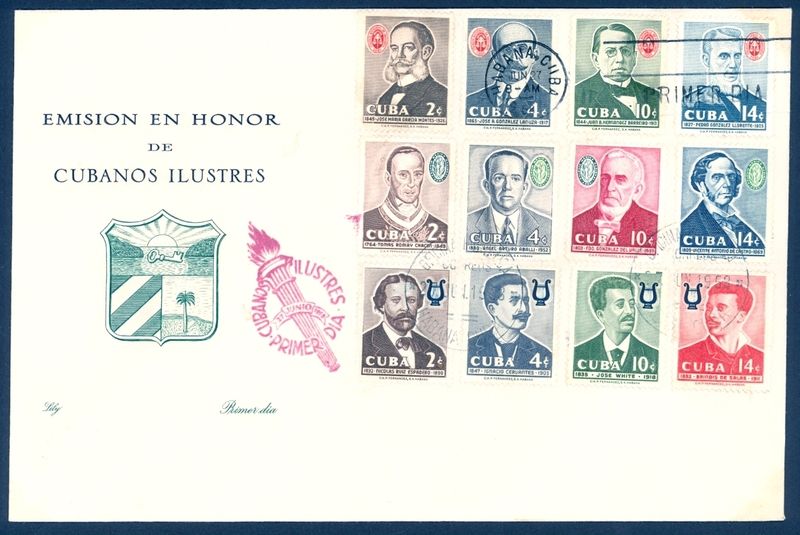 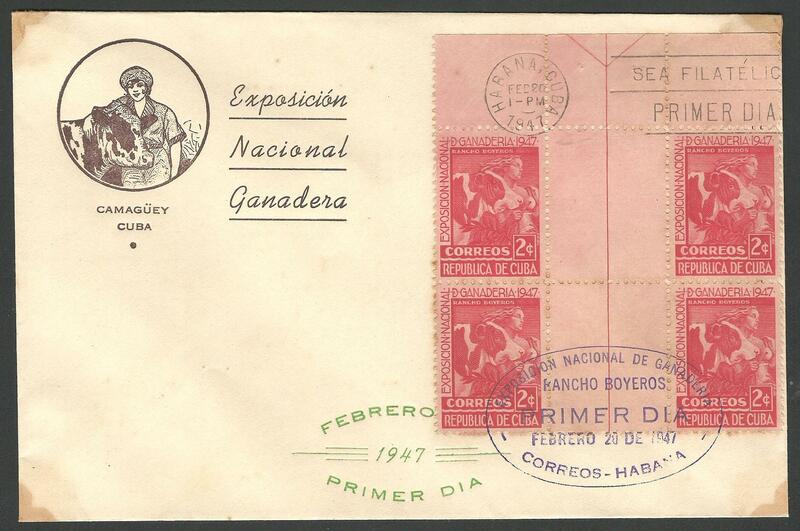 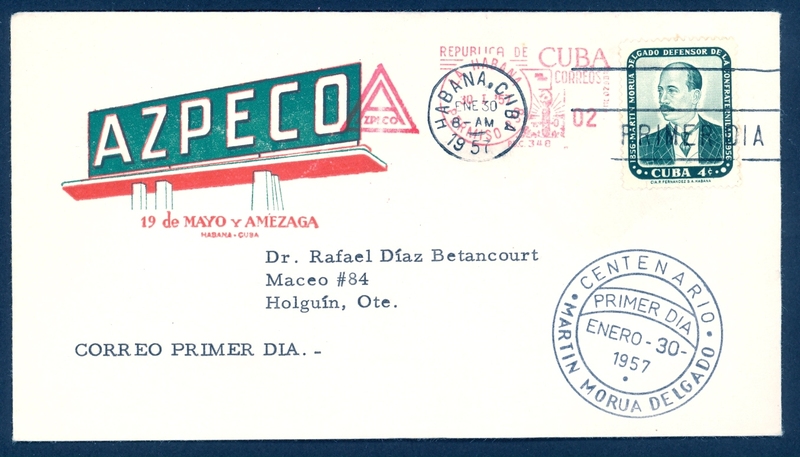 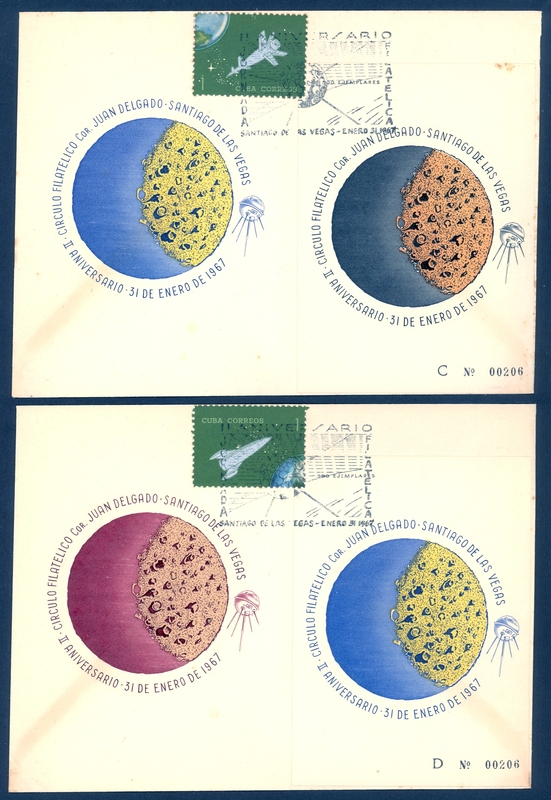 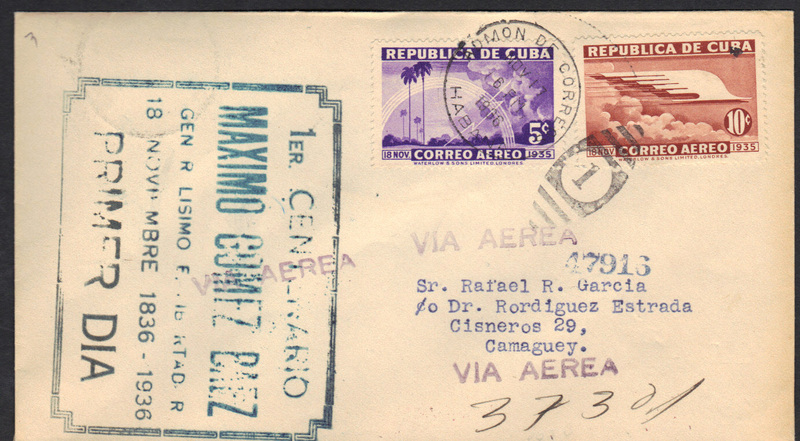 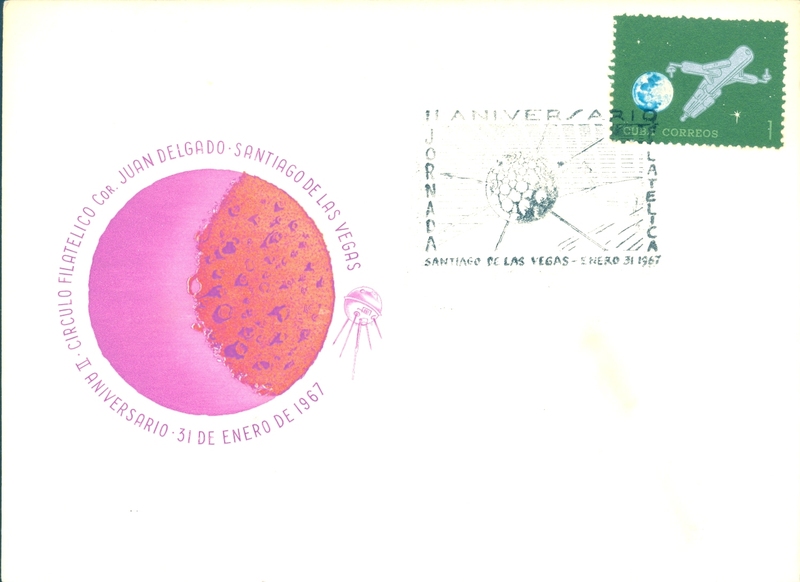 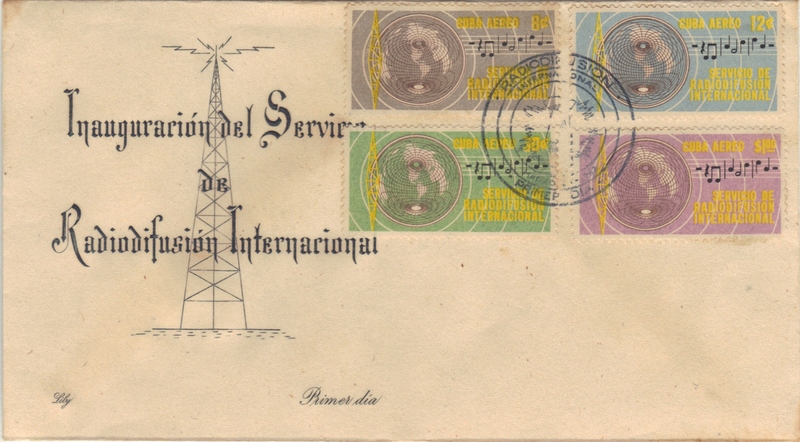 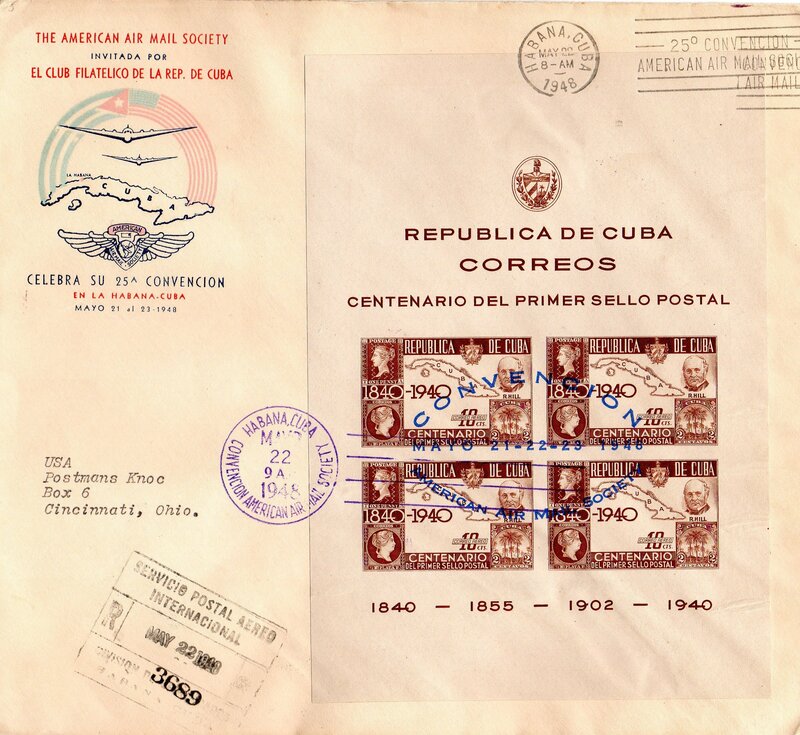 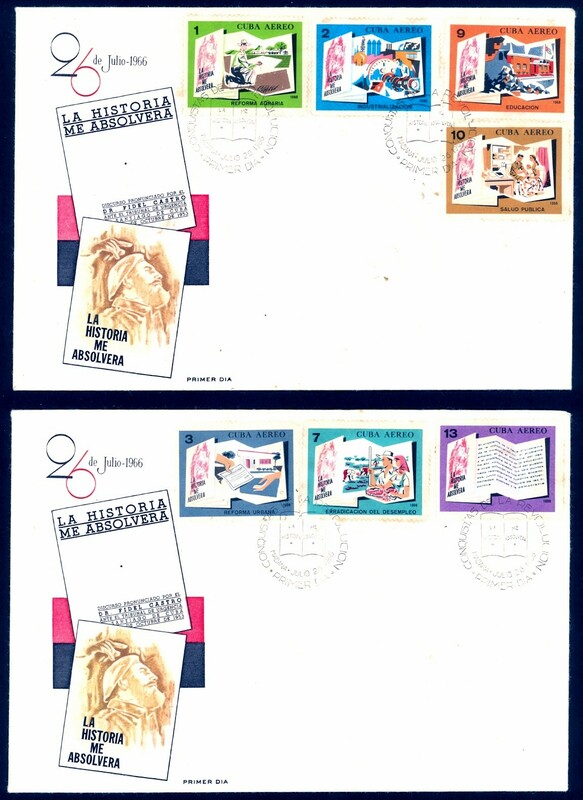 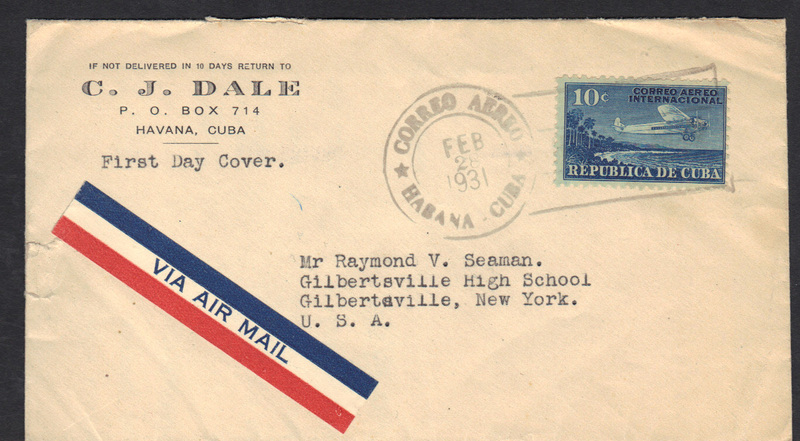 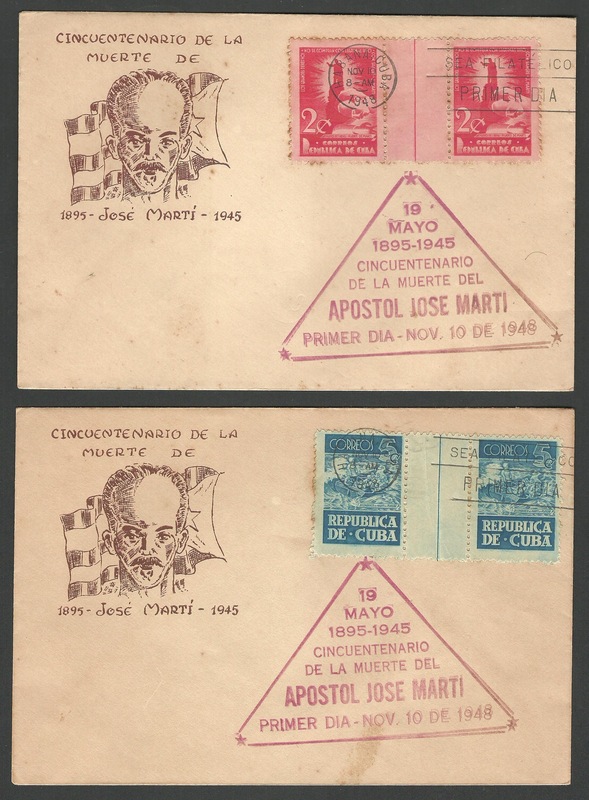 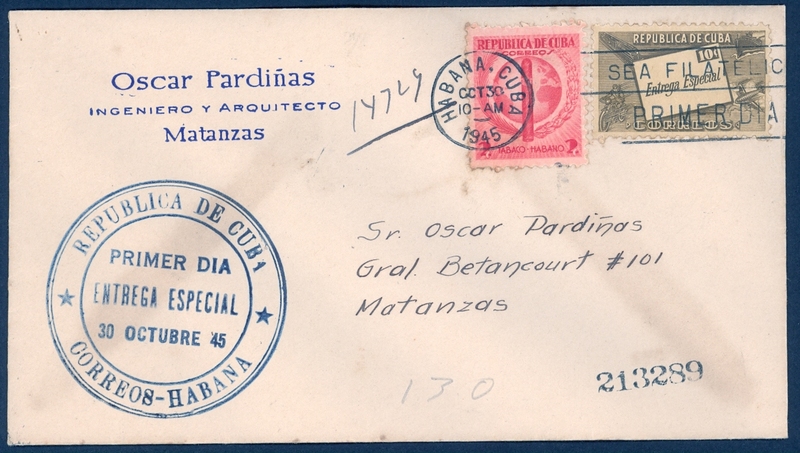 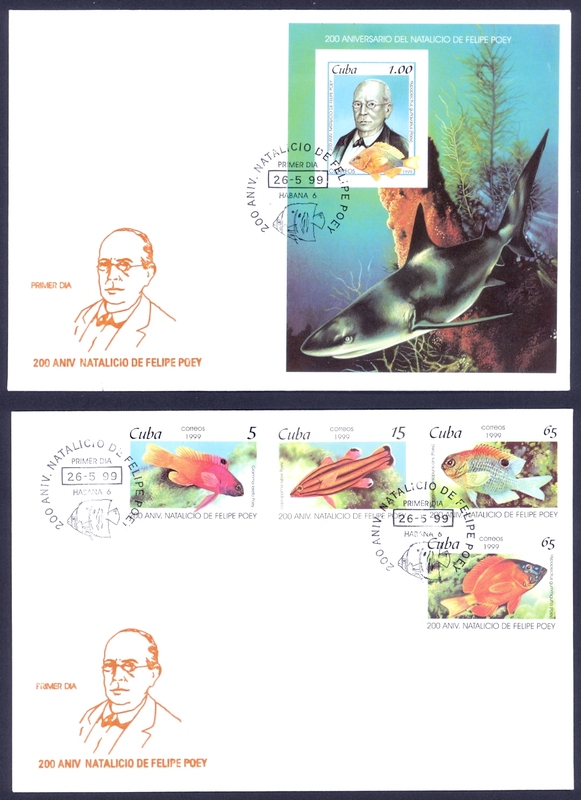 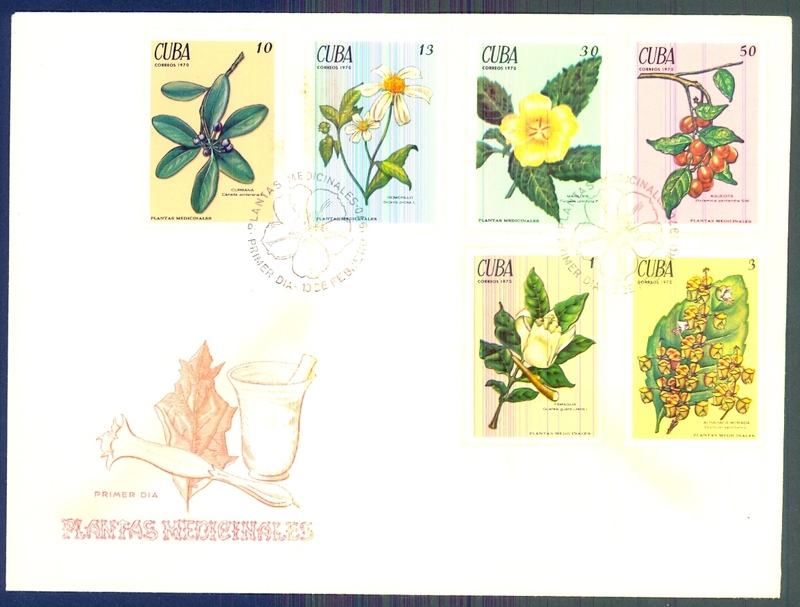 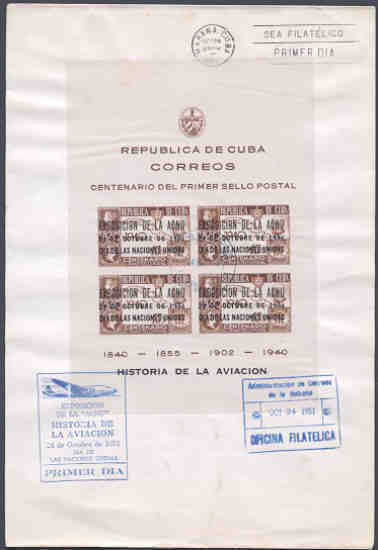 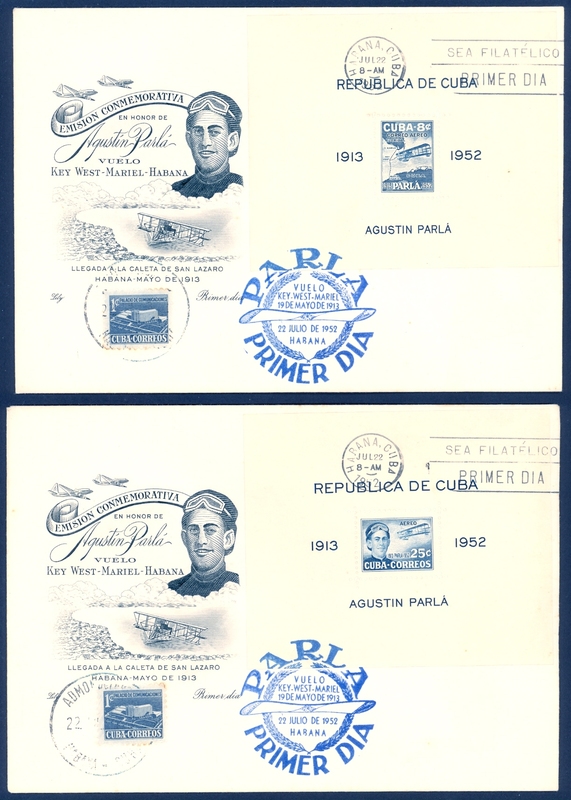 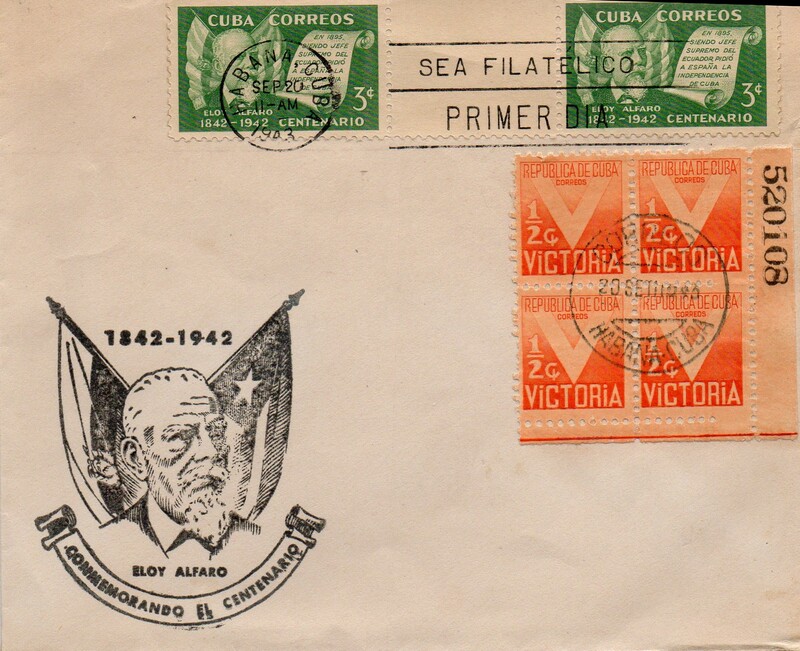 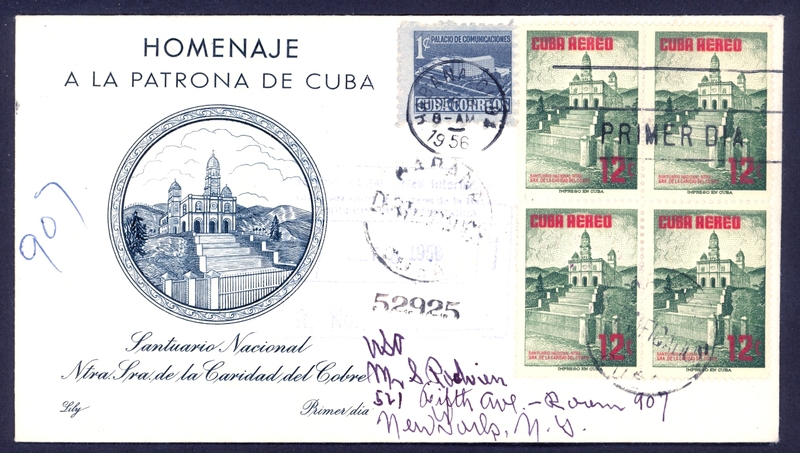 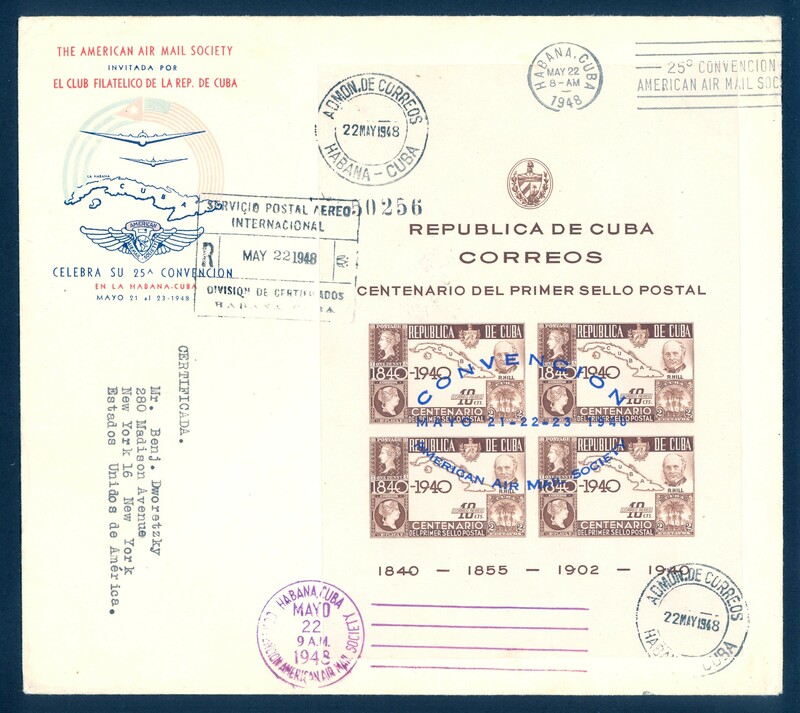 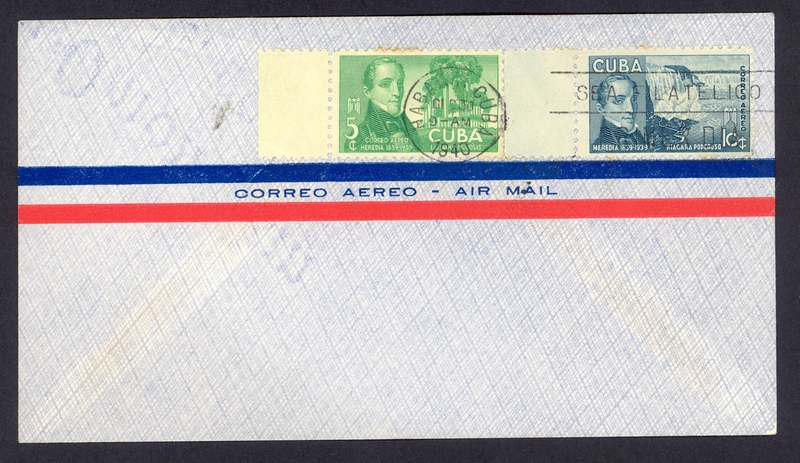 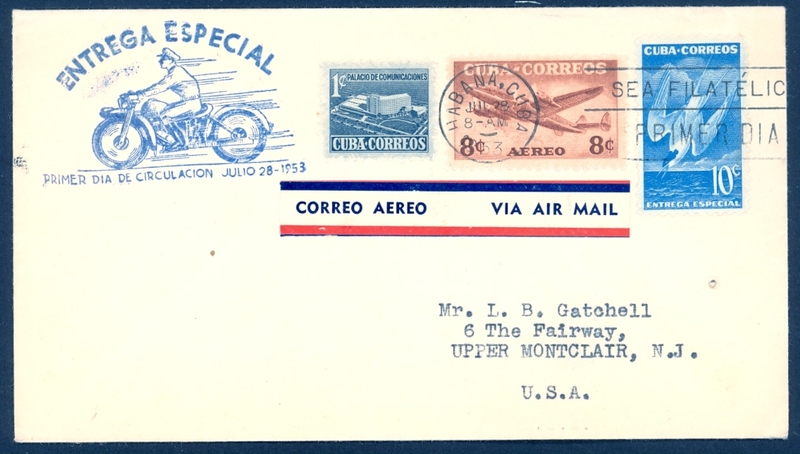 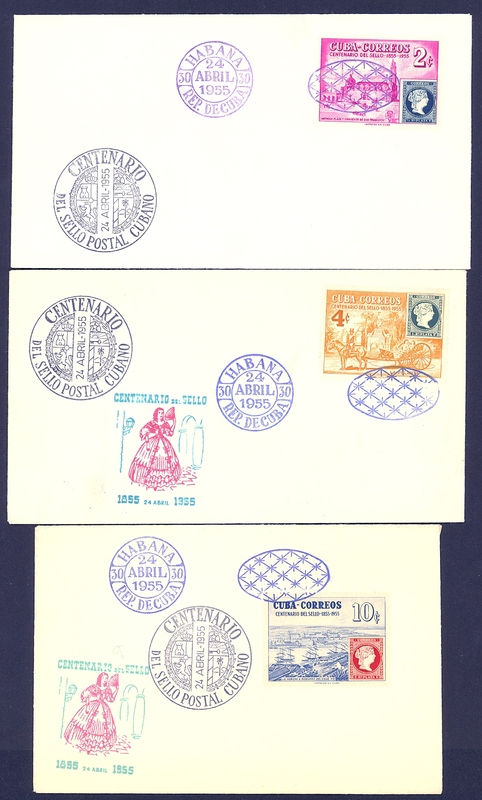 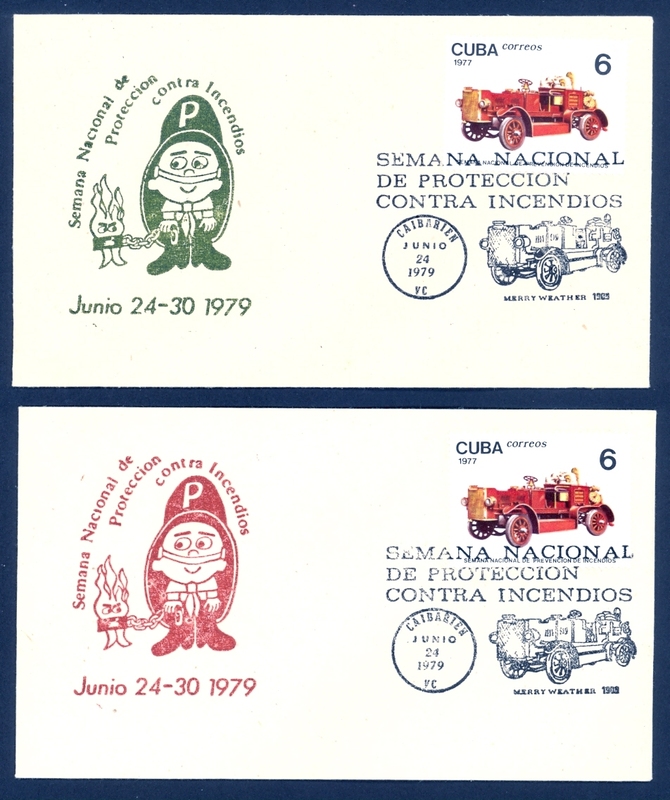 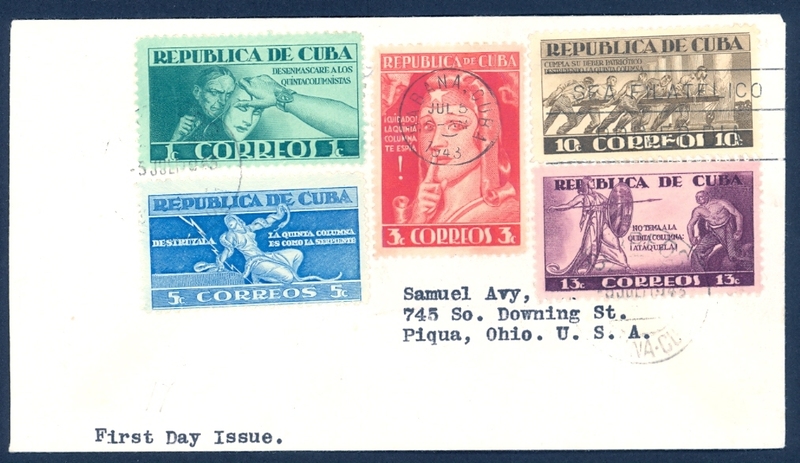 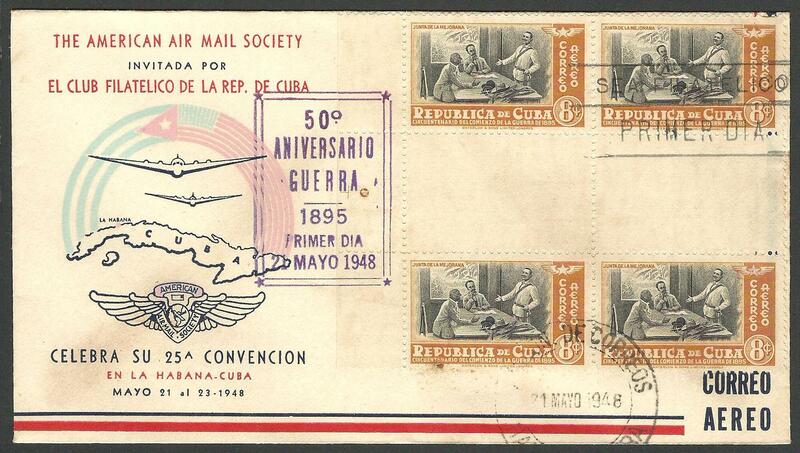 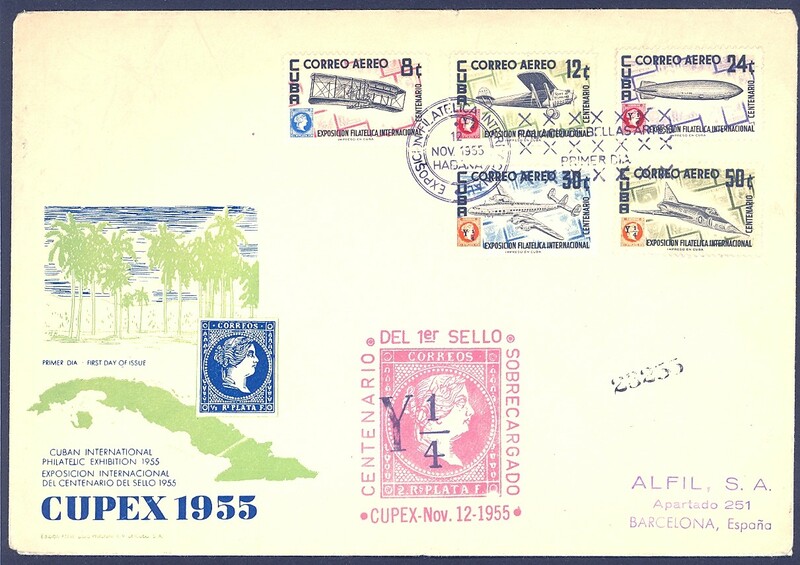 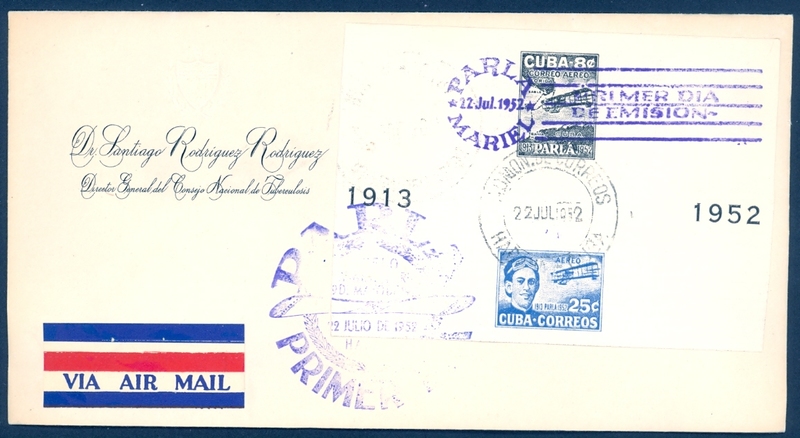 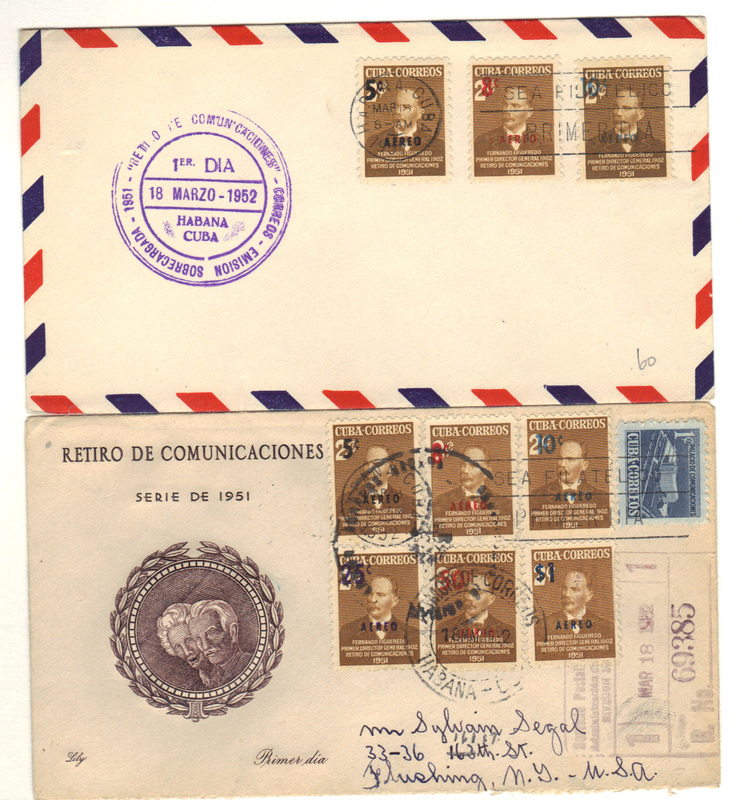 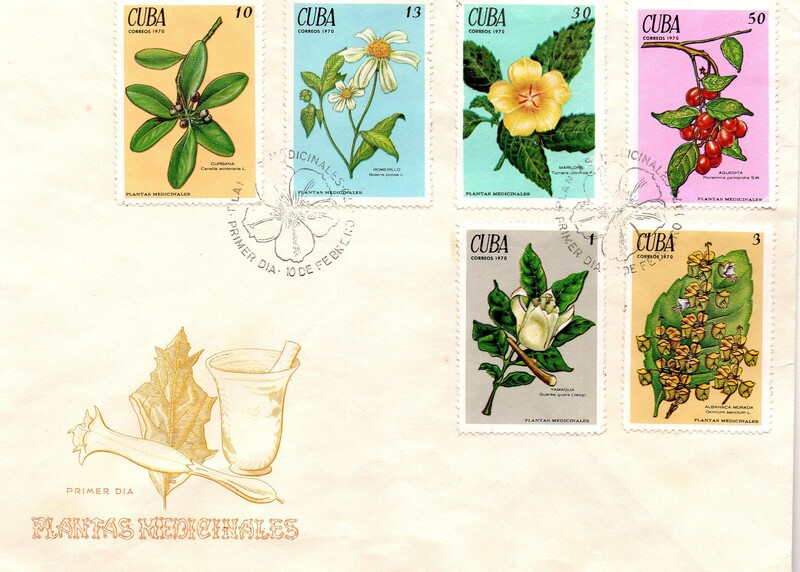 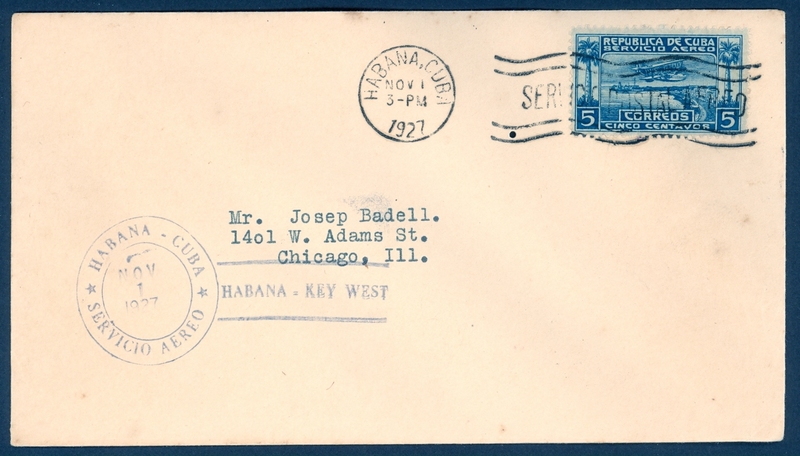 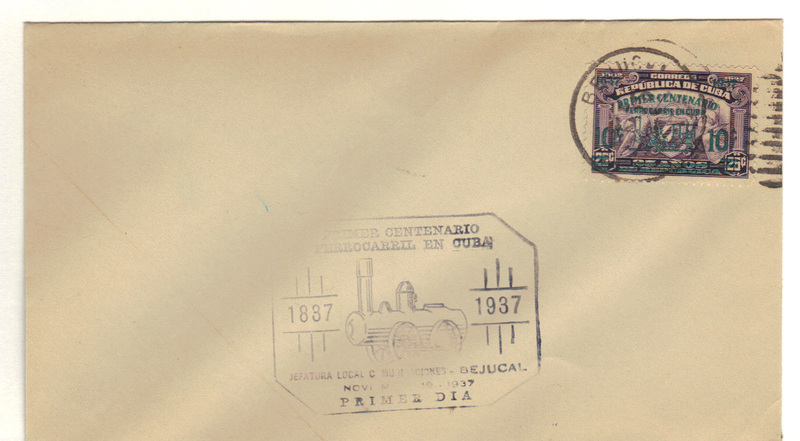 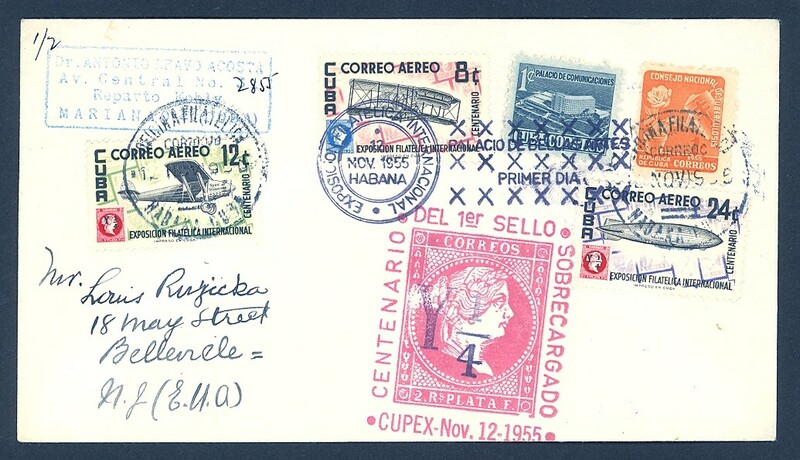 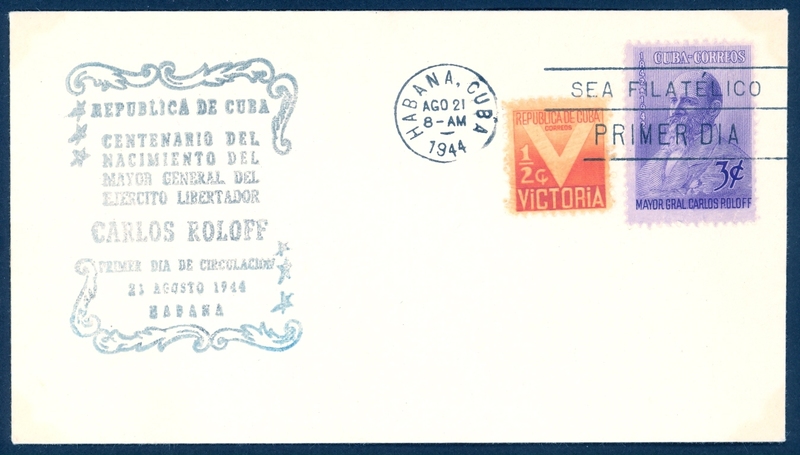 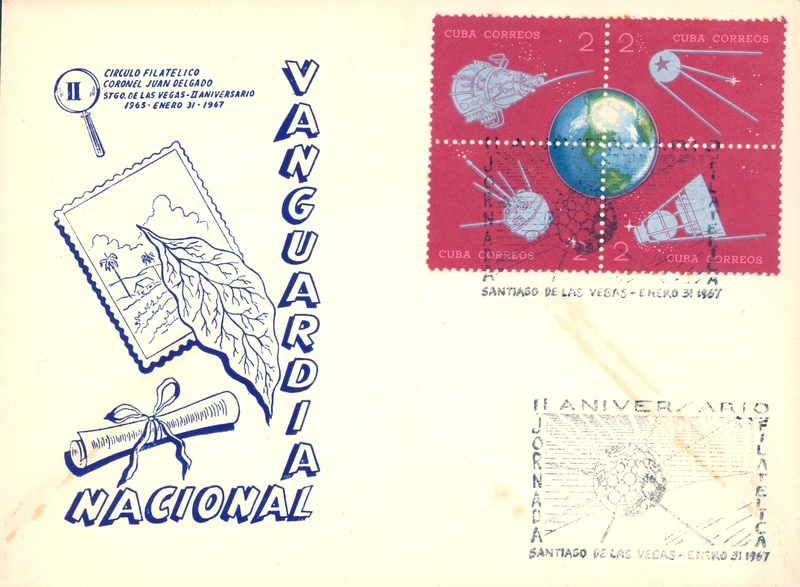 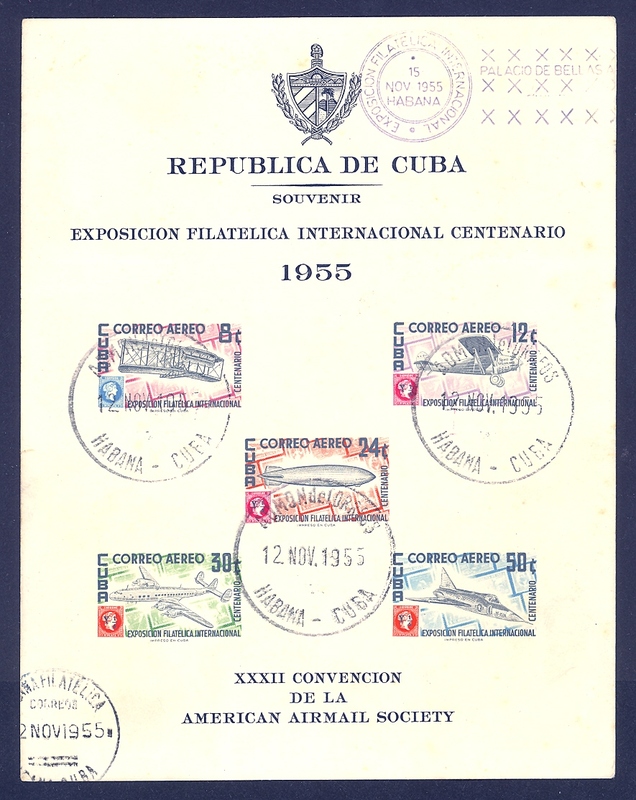 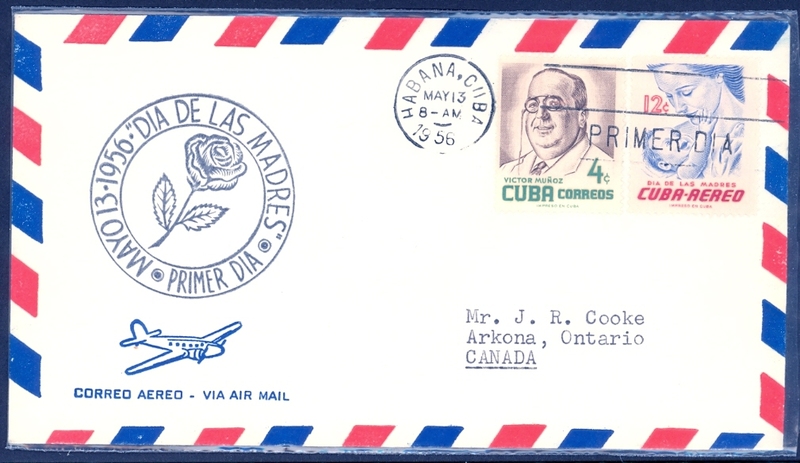 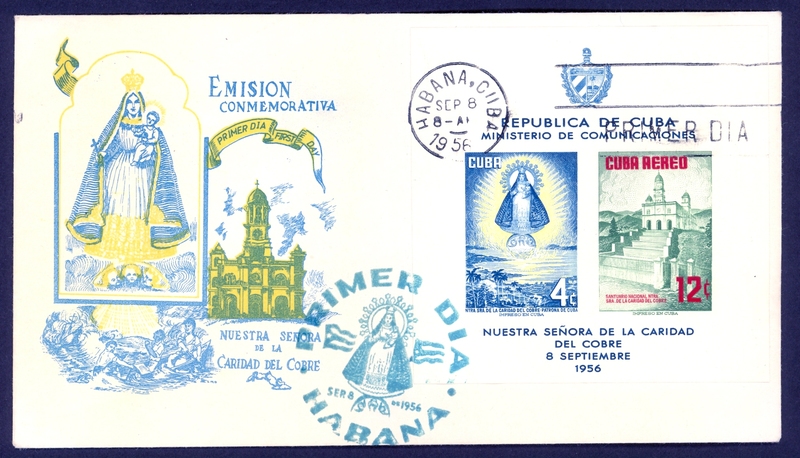 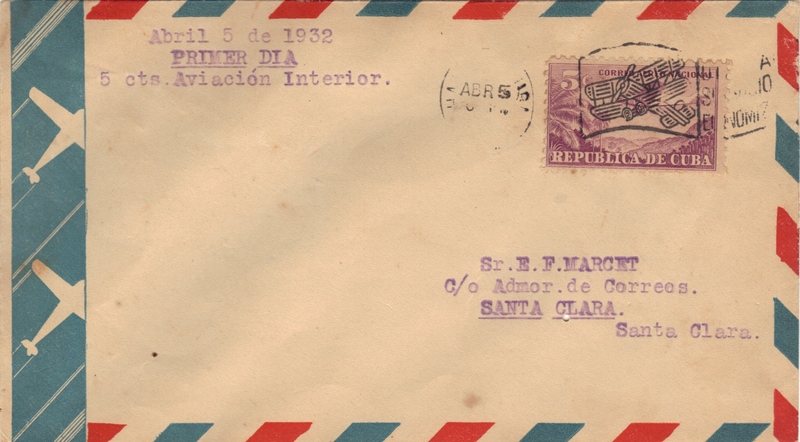 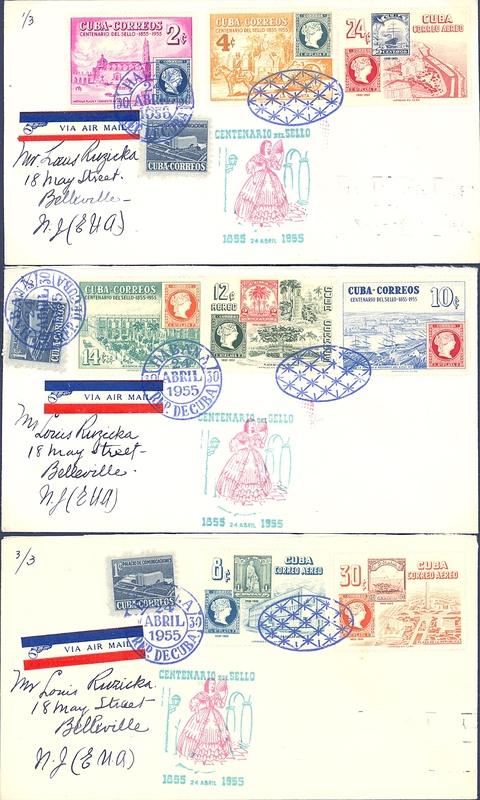 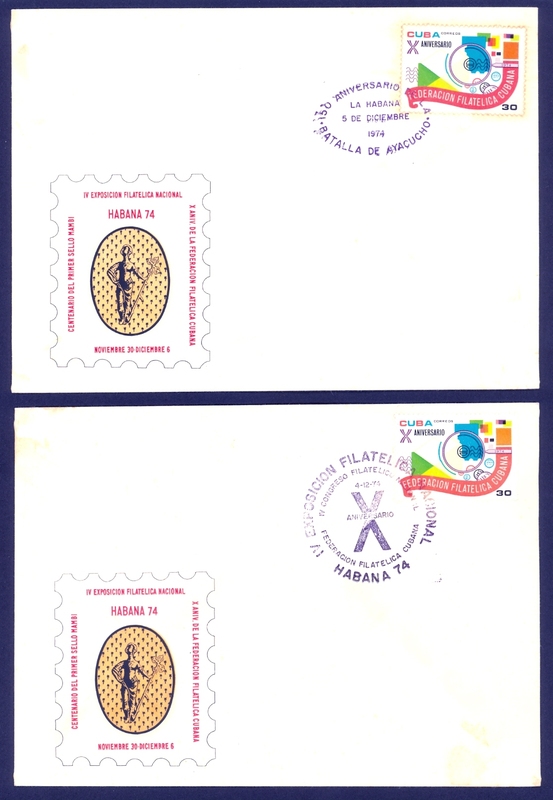 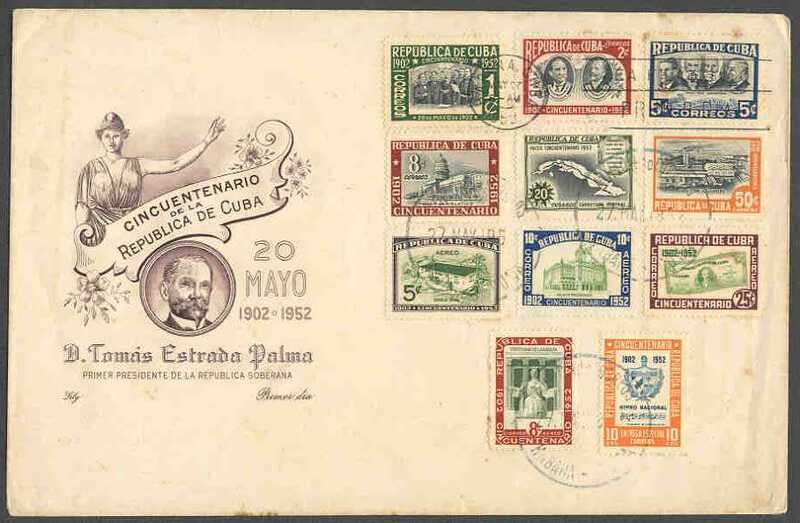 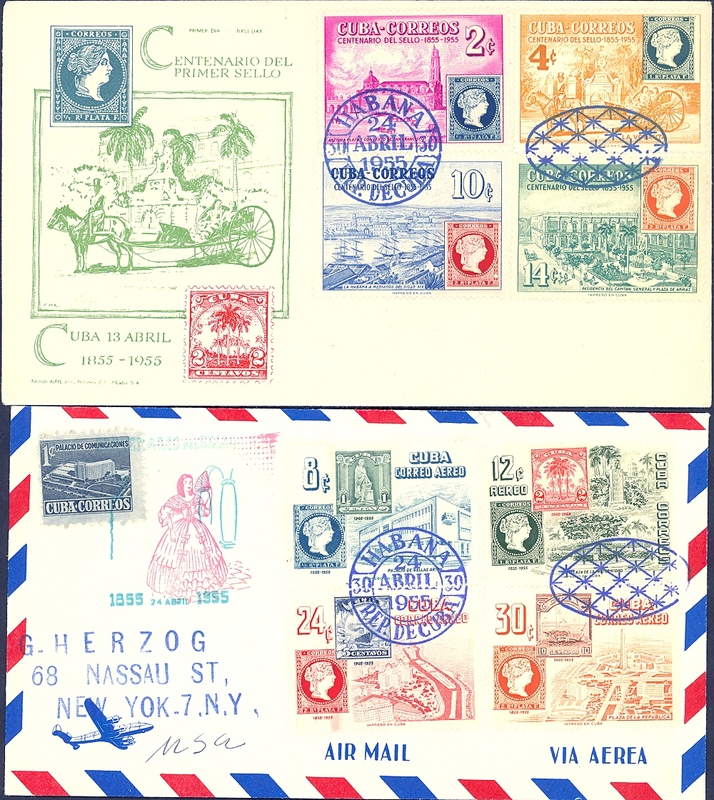 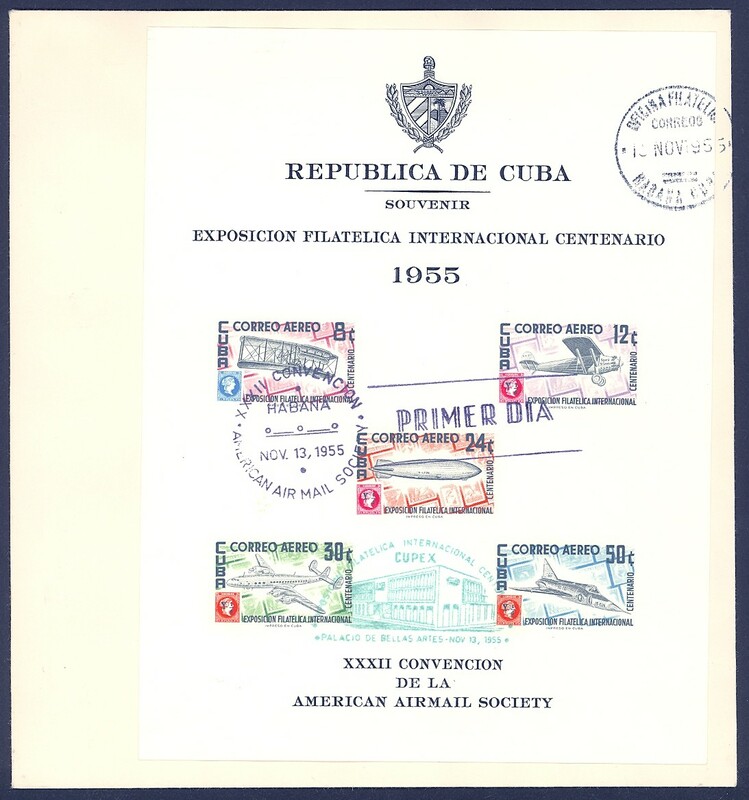 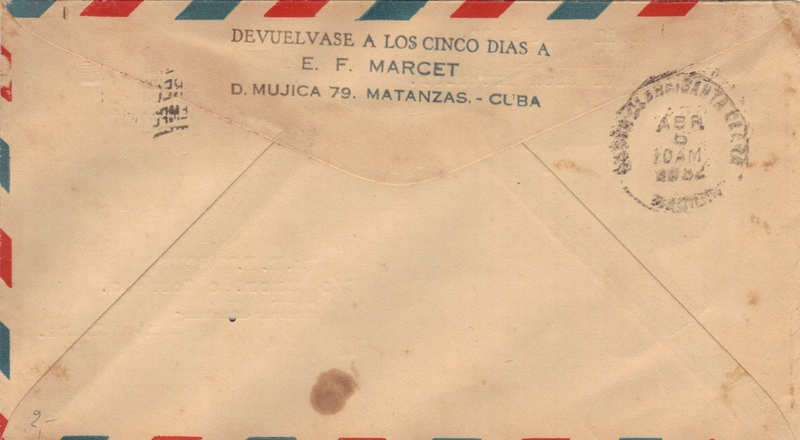 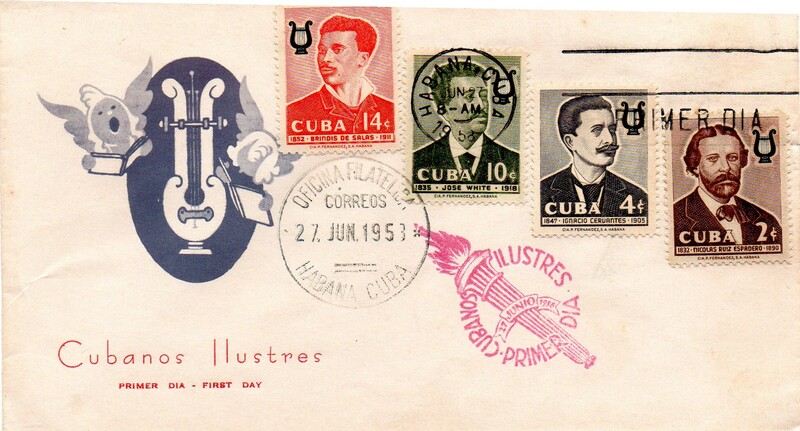 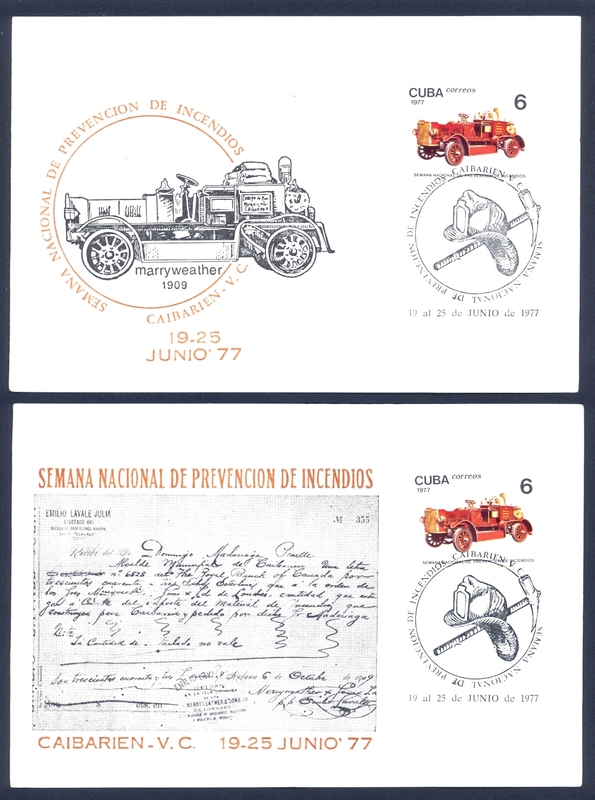 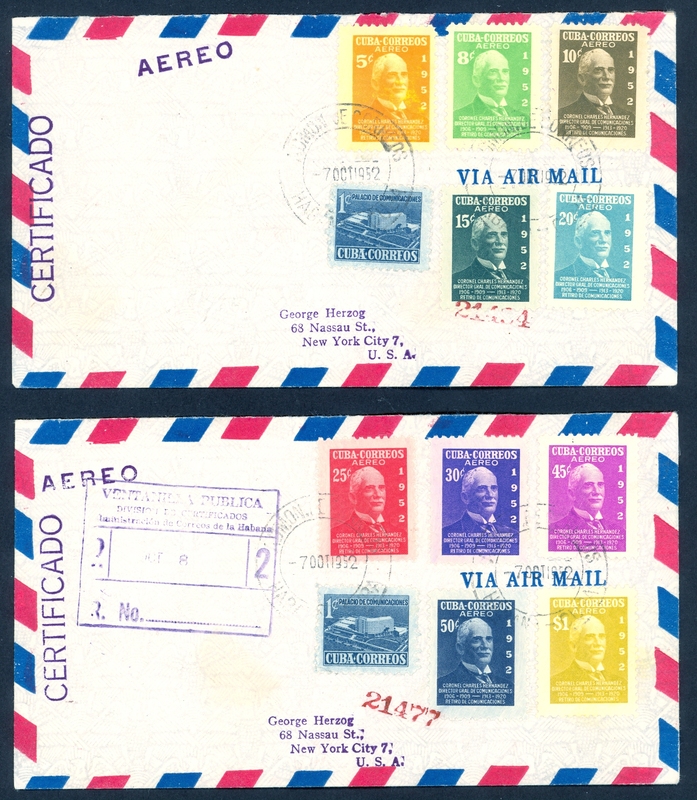 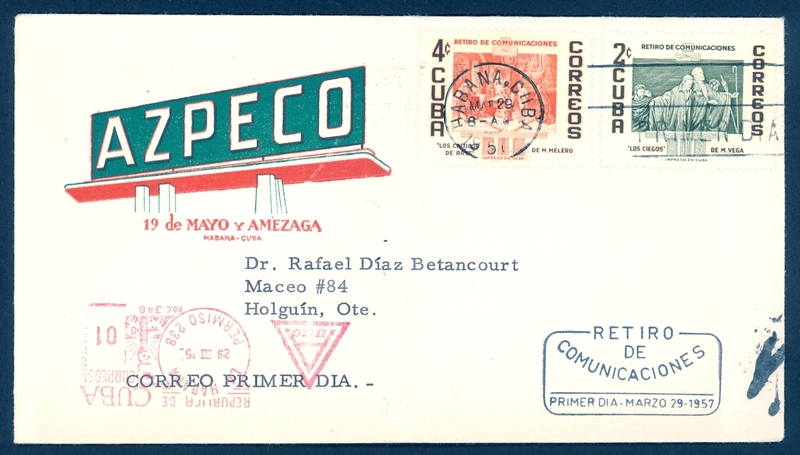 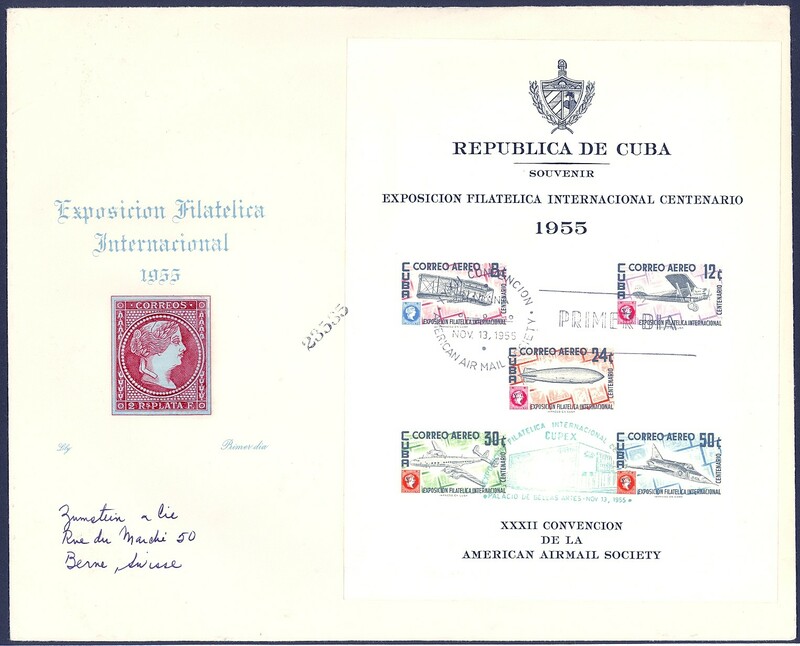 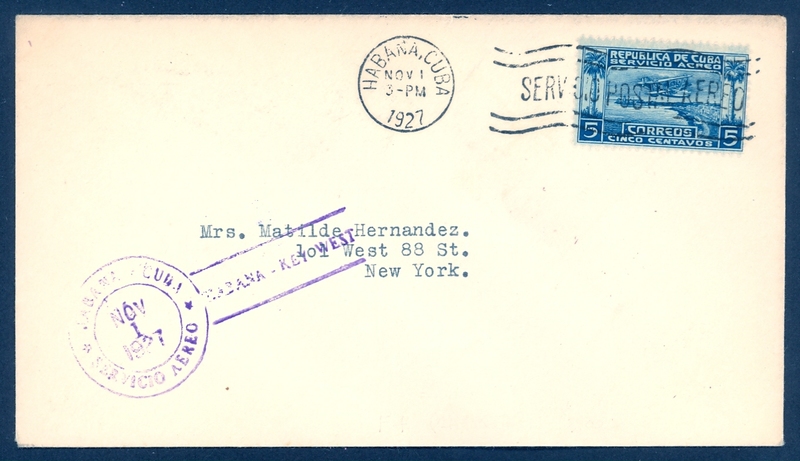 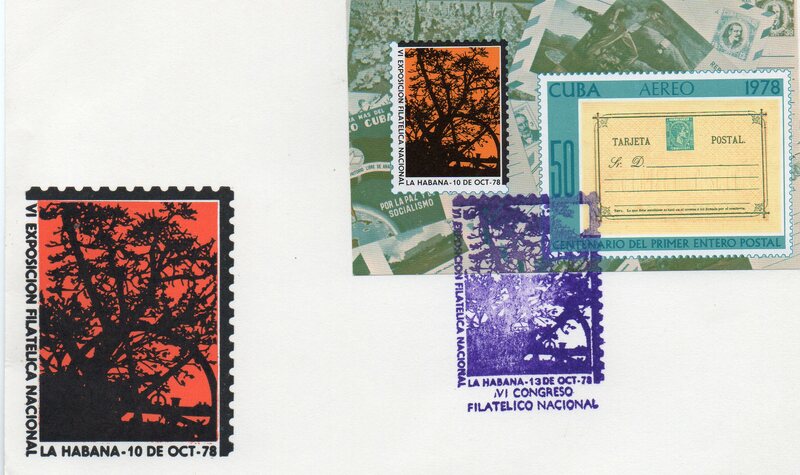 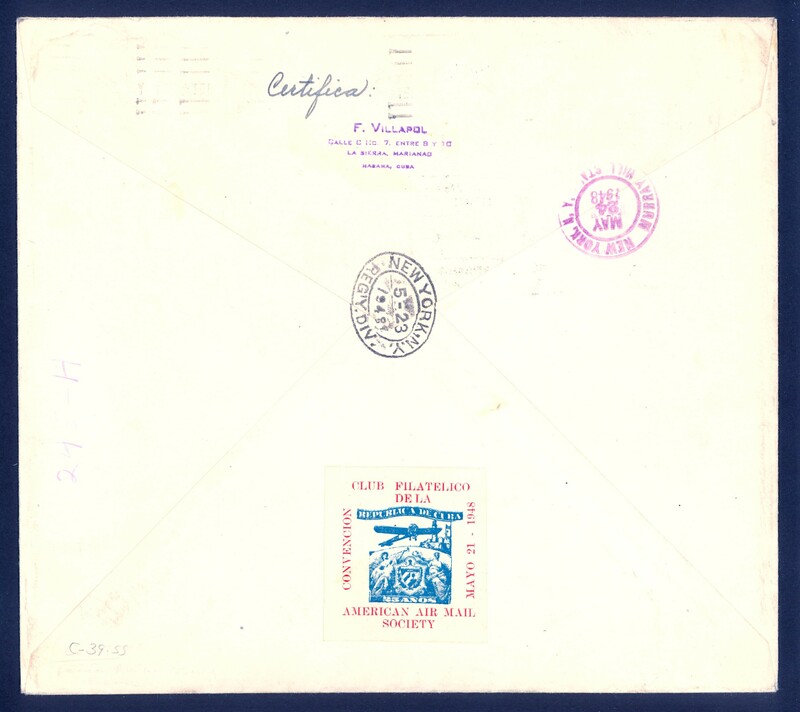 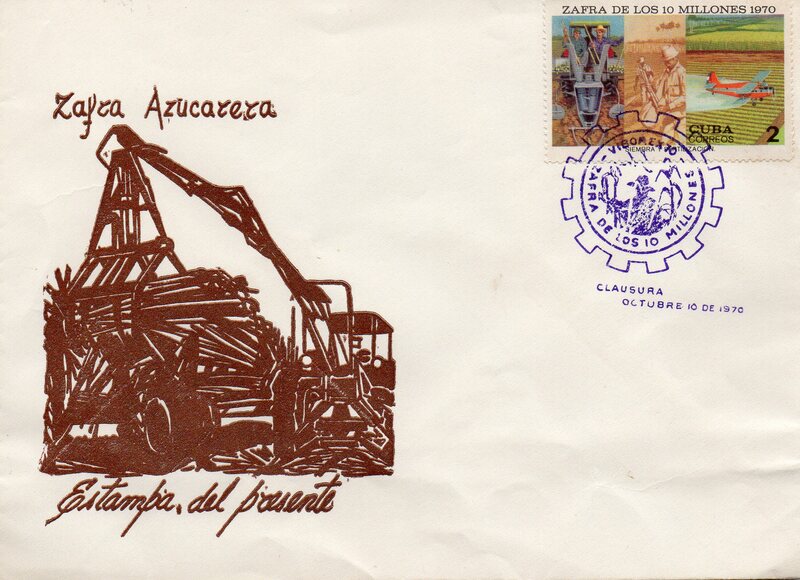 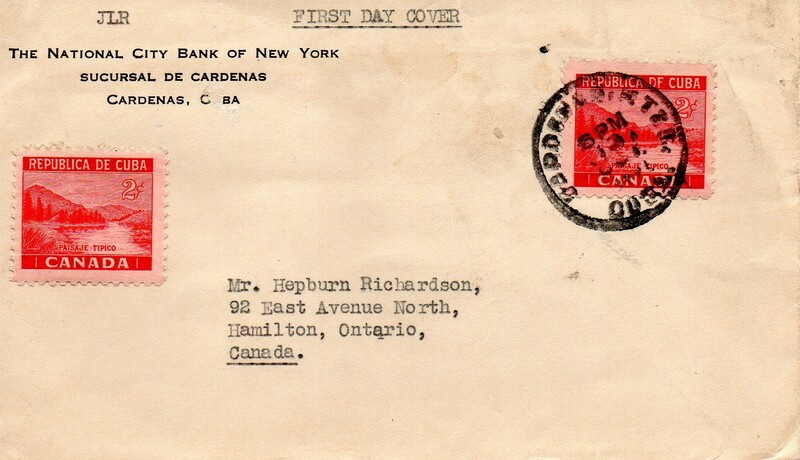 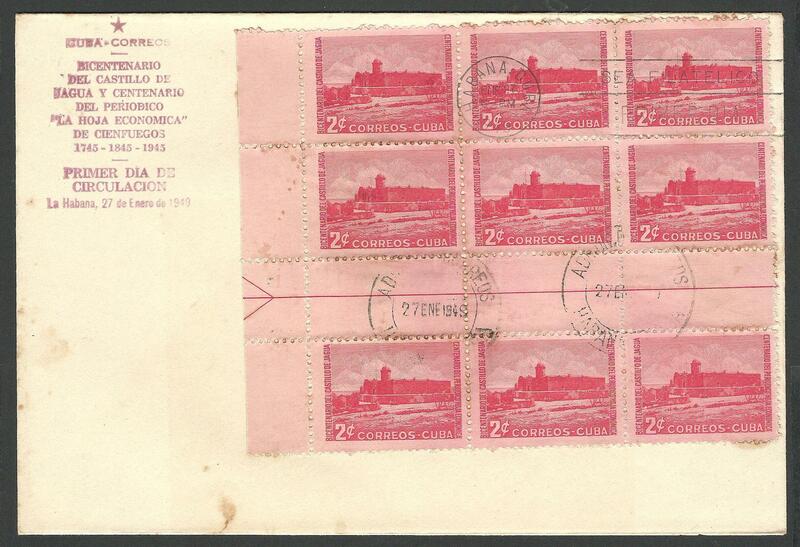 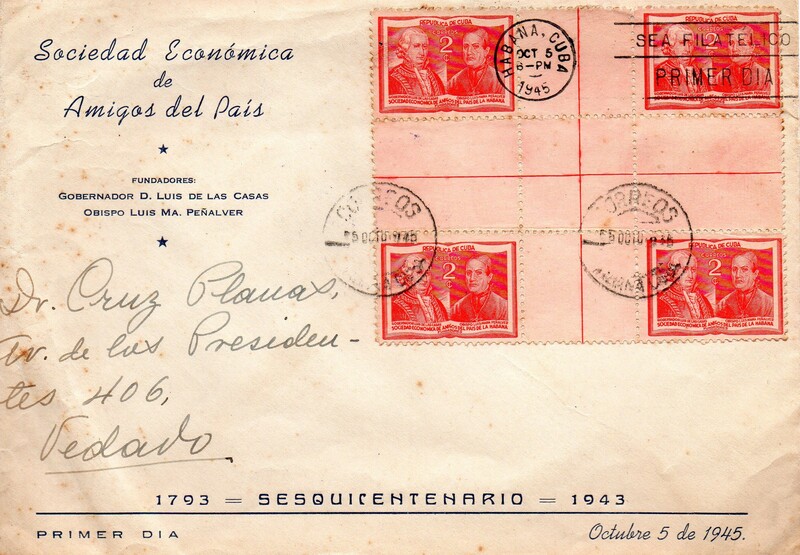 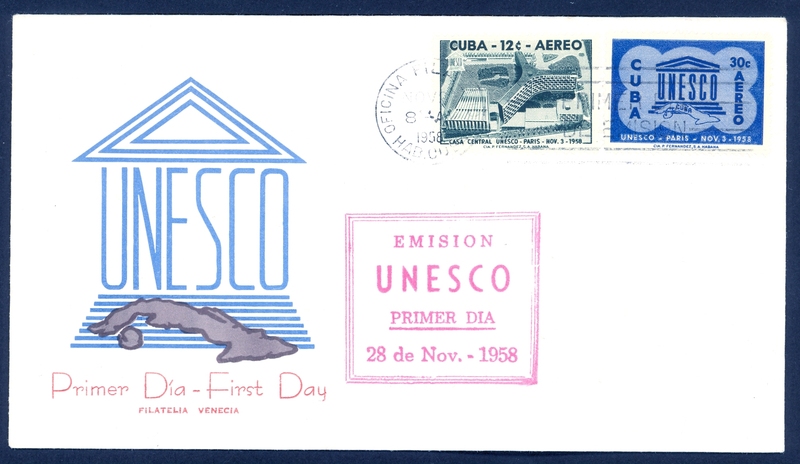 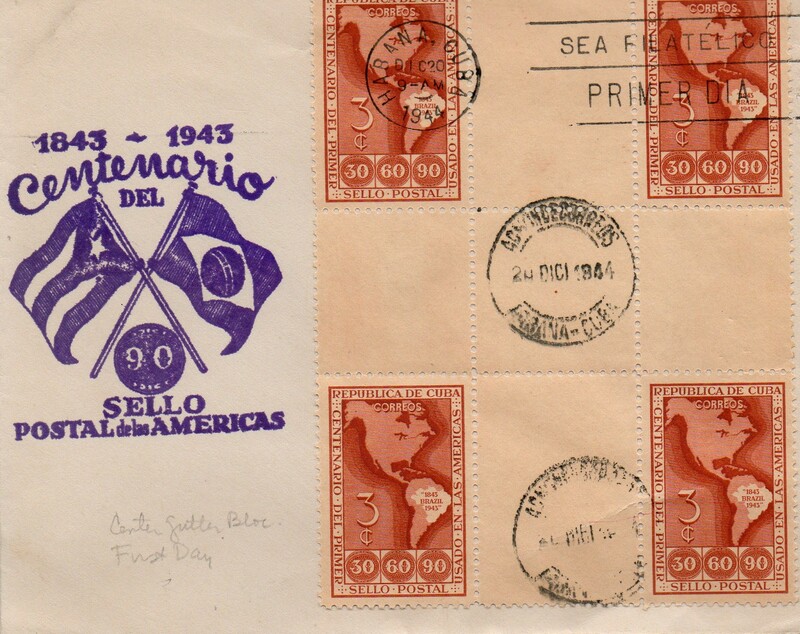 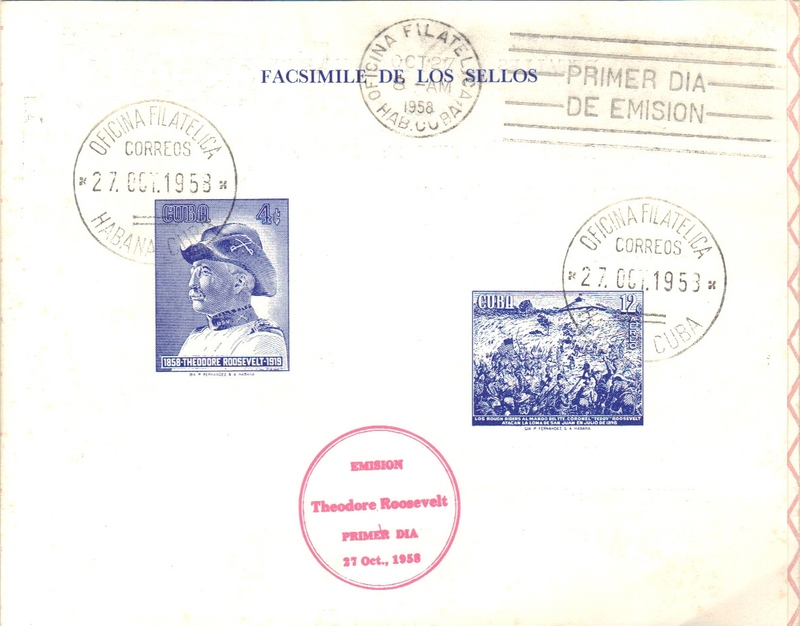 "X Aniversario Federación Filatélica Cubana" and different commemorative cancellations.